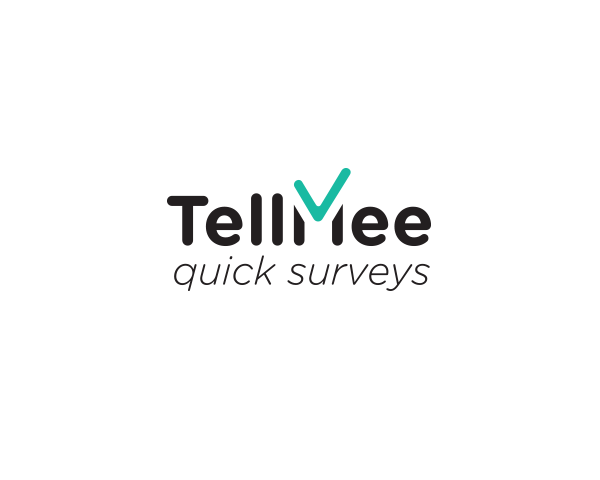 TellMee is a web tool, that allows restaurant / bar / hotel business owners to collect anonymous feedback from their customers, by completing web surveys accessible through a QR code. The web application needed an identity and creative direction, to help them market the product to the target audience. 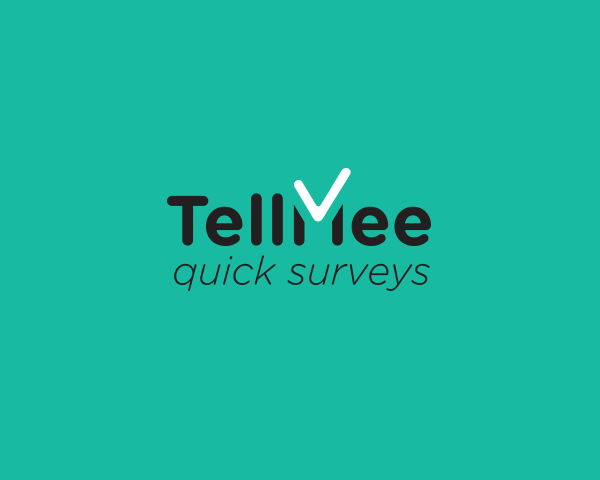 TellMee believes that people are reluctant to offer feedback, if they have to give ay of their credentials or if the process looks complicated. The App wants to make it easier to submit and receive feedback, both to the client and the business owner. 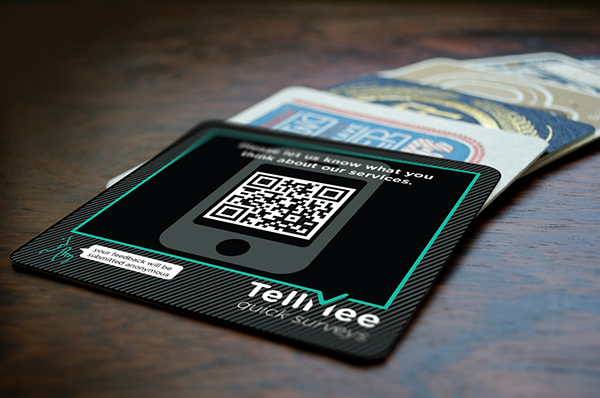 After the intial brief and subsequent meetings, we agreed that the TellMee brand should not be visually invasive. The brand not only promotes itself, but seeks to help the businesses of the owners in the first place. We drafted the ideas around communication and feedback, on a optimistic tone, to increase the positive response from surveyors. 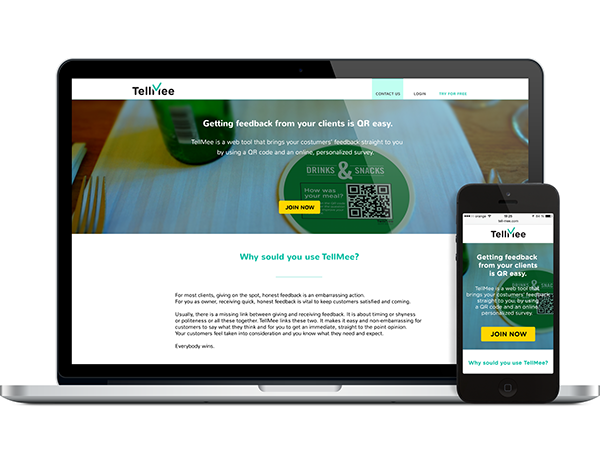 Since the web tool is designed to increase the amount of feedback received, we thought of TellMee as a framework for ideas and questions. Using a frame, allowed for messages and QR codes to be part of the identity, while also integrating the mark within it. The curved edges of the type and visual elements compensate for the rigid look of the QR code, while the heavier strokes facilitate discovery and legibility. The result was implemented in two directions: one targeted at business owners and the other aimed at clients. 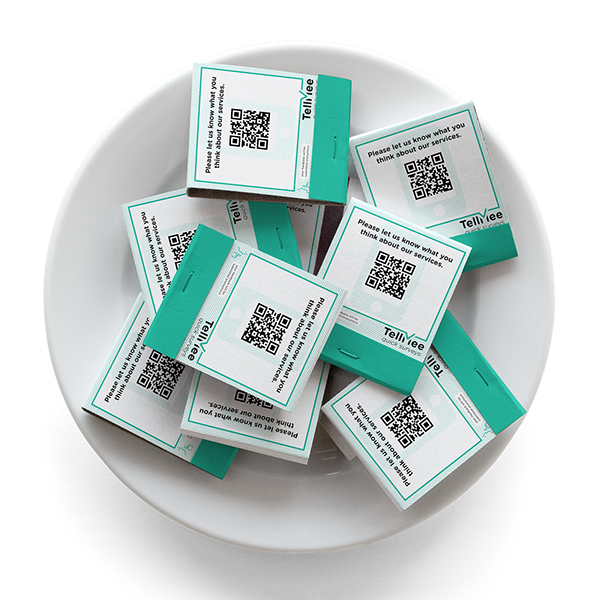 This flexible identity suited a broad range of applications, both digital and print. 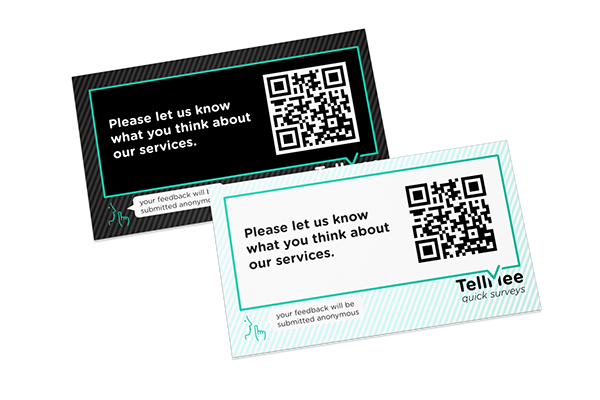 Challenge TellMee is a web tool, that allows restaurant / bar / hotel business owners to collect anonymous feedback from their customers, by completing web surveys accessible through a QR code. 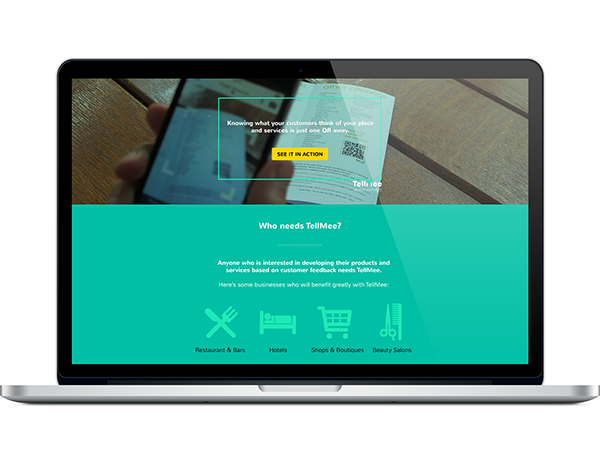 The web application needed an identity and creative direction, to help them market the product to the target audience. Approach TellMee believes that people are reluctant to offer feedback, if they have to give ay of their credentials or if the process looks complicated. The App wants to make it easier to submit and receive feedback, both to the client and the business owner. After the intial brief and subsequent meetings, we agreed that the TellMee brand should not be visually invasive. The brand not only promotes itself, but seeks to help the businesses of the owners in the first place. Solution We drafted the ideas around communication and feedback, on a optimistic tone, to increase the positive response from surveyors. 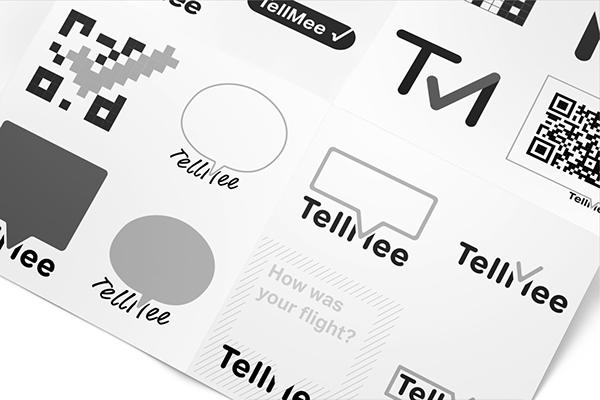 Since the web tool is designed to increase the amount of feedback received, we thought of TellMee as a framework for ideas and questions. 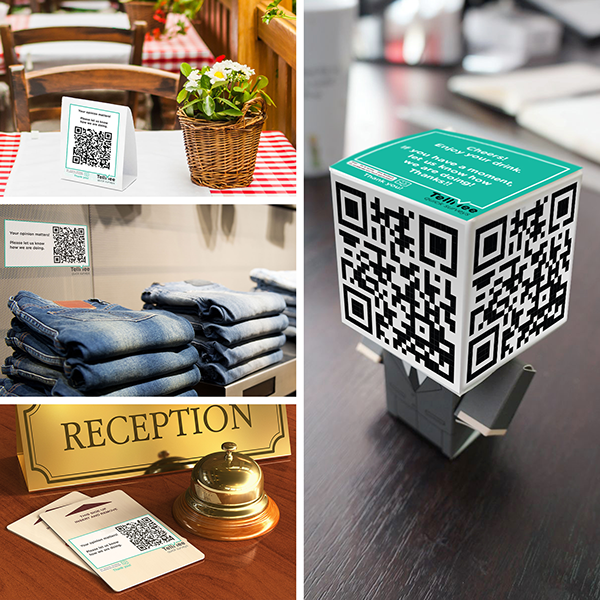 Using a frame, allowed for messages and QR codes to be part of the identity, while also integrating the mark within it. 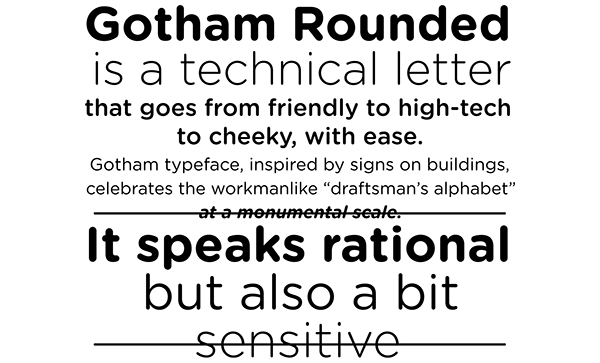 The curved edges of the type and visual elements compensate for the rigid look of the QR code, while the heavier strokes facilitate discovery and legibility. The result was implemented in two directions: one targeted at business owners and the other aimed at clients. 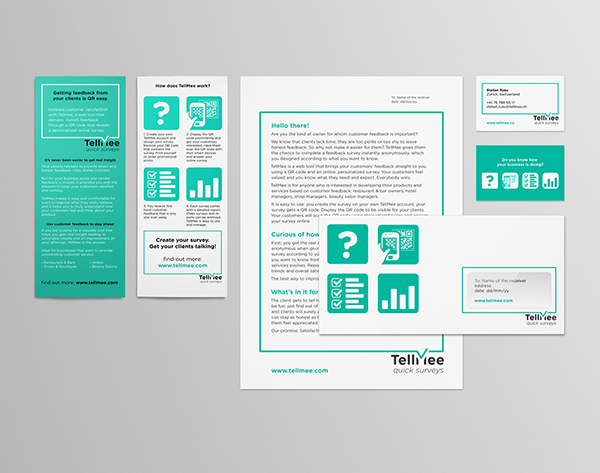 This flexible identity suited a broad range of applications, both digital and print.